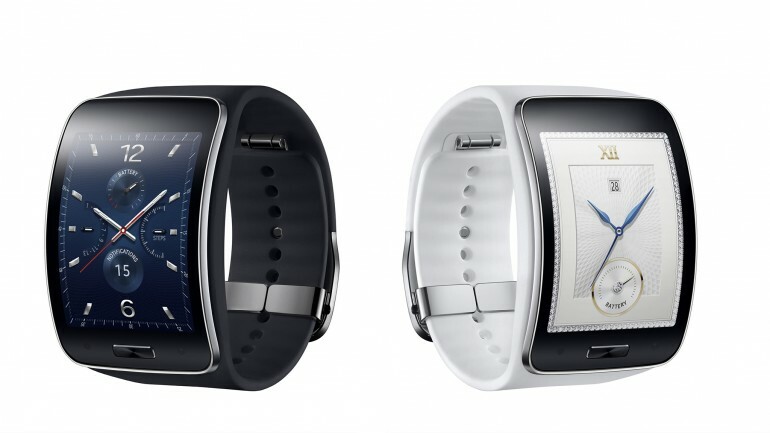 Ever since the launch of the Gear Live, we have been hearing murmurs of a Samsung wearable with a built in SIM card slot that would allow it to be independent of a smartphone and today, Samsung in a surprising move unveiled the Gear S. Current speculation has it that the device was unveiled earlier than planned in order to put as much attention as possible on the upcoming Note 4 event, as well as to prevent LG’s newly announced round smartwatch from getting too much attention. The Gear S runs on Tizen instead of Android Wear and as mentioned before, comes with a SIM slot that allows it to connect to 2G and 3G networks. This allows it to connect to the internet and independently display notifications. The smartwatch can also make and receive phone calls and text messages. Even though the Gear S is an independent device, you can also connect it to your smartphone and use it as any other Gear smartwatch. The new device brings in some design changes from its predecessors in the form of a 2 inch (360 x 480) CURVED AMOLED display with an apparently thinner profile that better contours to the user’s wrist. In case you were wondering, the display is not flexible. The home button also looks a bit thinner and more rectangular. A great plus is that the device is rated IP 67 for dust and water resistance. What i am really interested to see is the charging mechanism as the previous Gear watch received criticism for it. Samsung made some noise in the audio game with its new Level line of premium audio devices and has gained mostly positive feedback. Following that, the company unveiled the Gear Circle, a pair of wireless Bluetooth earphones meant for sports or physical activities. 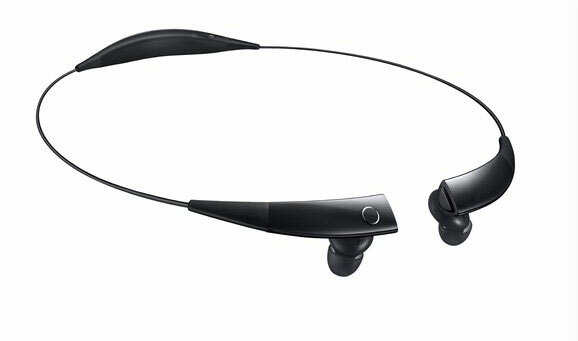 The earphones have a unique design where each earbud has a magnetic clasp which allows users to simply connect them and wear it around the neck so that it does not fall off when not being used. The device also has a vibrate feature to alert the user regarding incoming calls and notifications. The earphones are able to pair with two devices at the same time which should make using a smartwatch along with the earphones easier. The built in 180 mAH battery is rechargeable via micro USB and should last a good 9 hours of playback. The Gear Circle too is going to release in October with no mention of pricing.